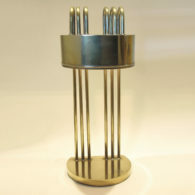 14cm tall x 17cm diam. 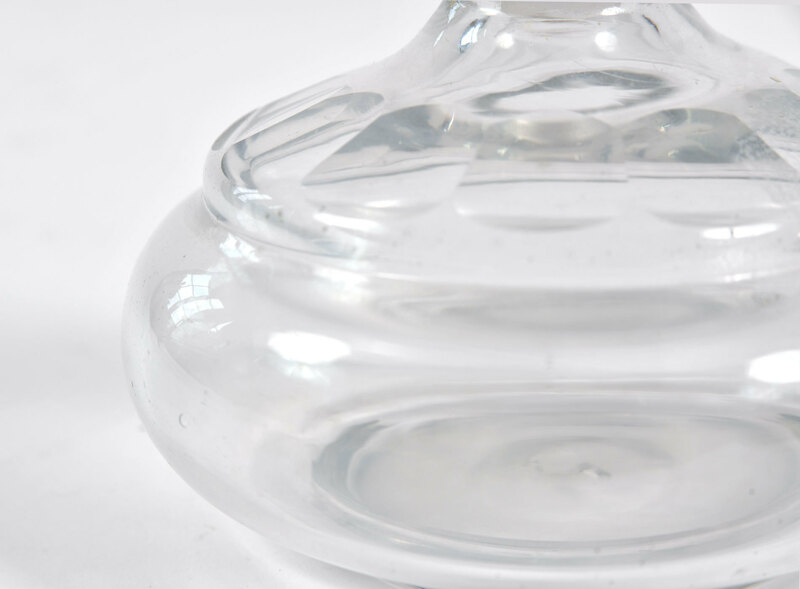 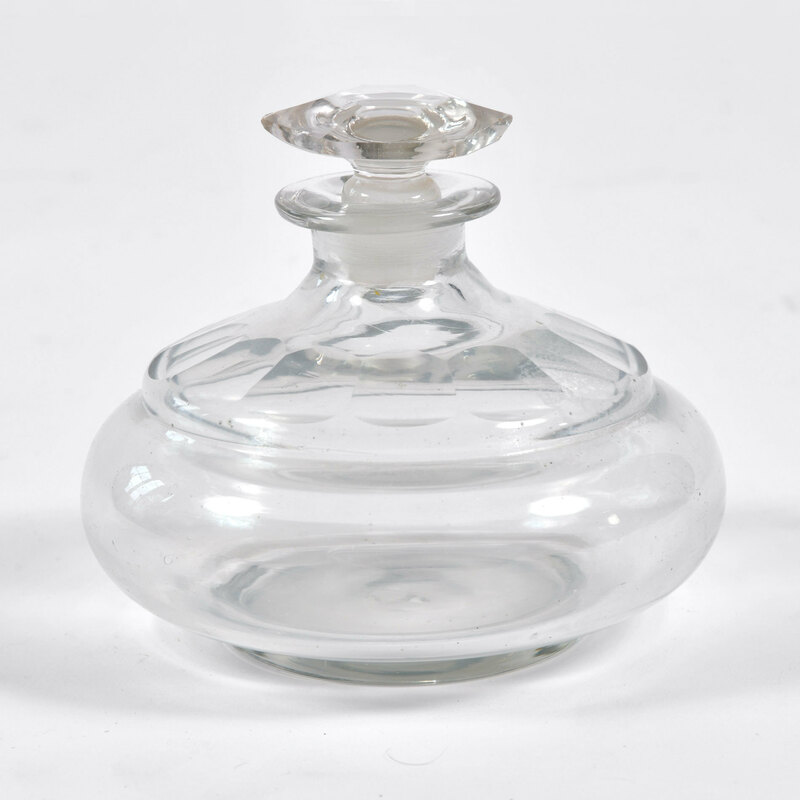 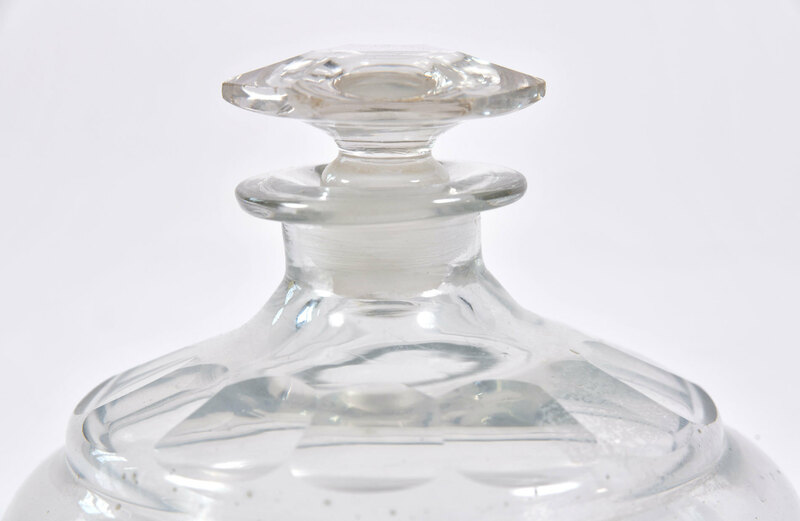 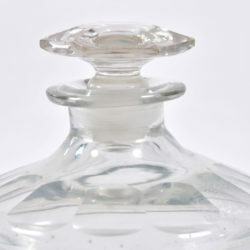 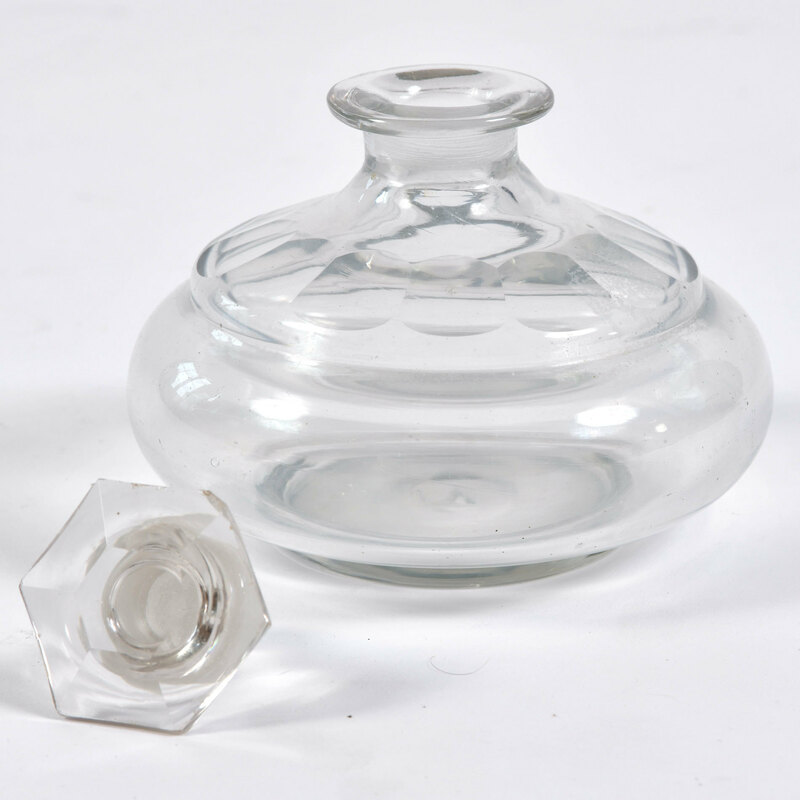 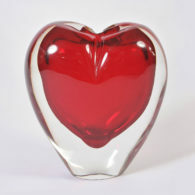 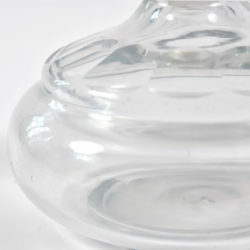 Large curvaceous perfume bottle with faceted decorative detailing. 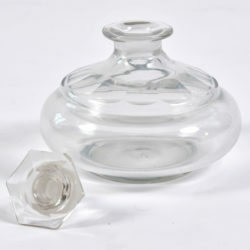 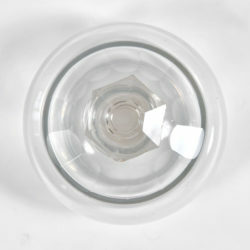 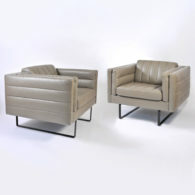 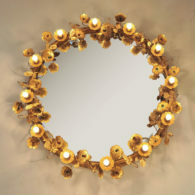 Complimented with matching hexagonal faceted stopper.